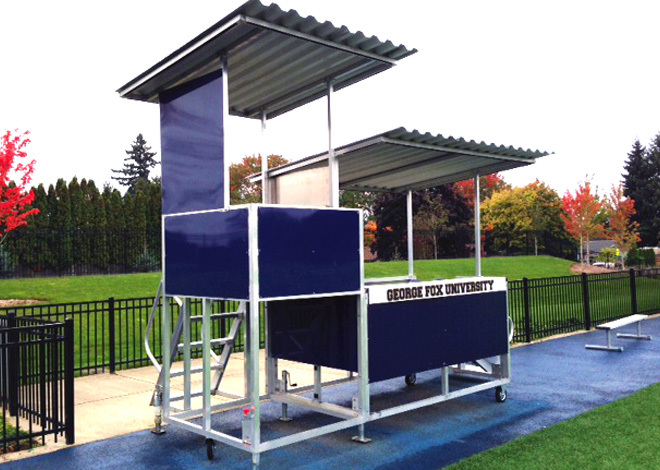 The GameDay Platform is a 8’ x 6’ portable aluminum stage that allows score keepers, coaches, and announcers to get up above the players. 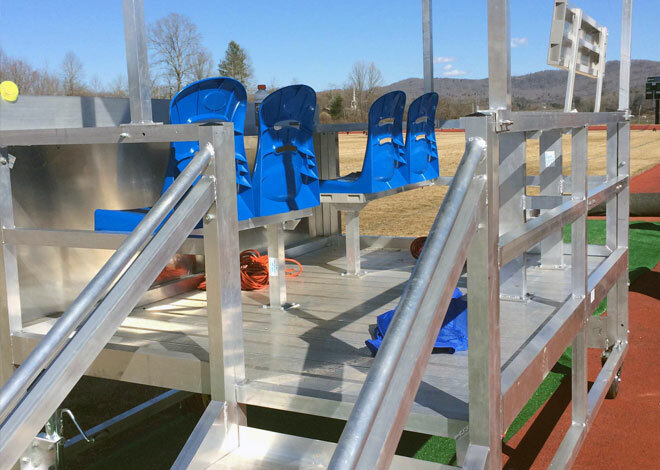 The platform comes with code compliant access stairs, 2 built in benches, a scorers table and a sports stool along the back for additional seating. 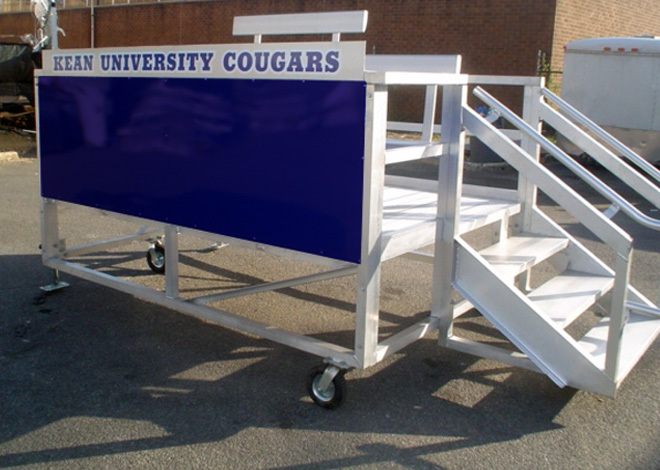 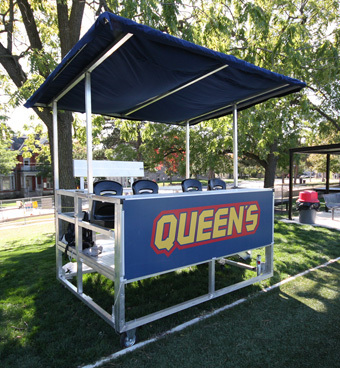 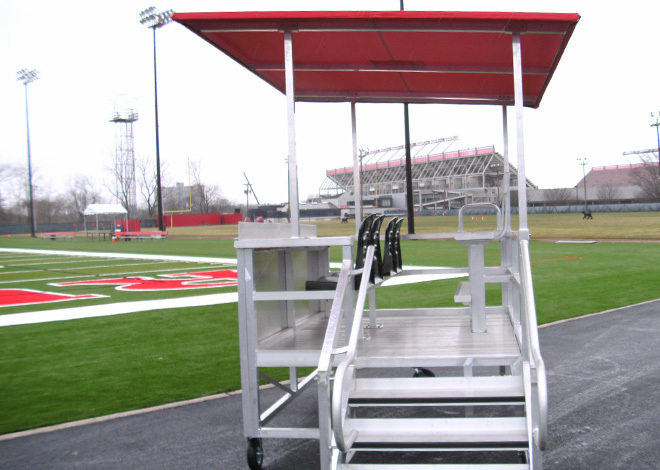 The GameDay Platform is completely portable and comes complete with wheels, leveling jacks and is railed on all sides for safety. 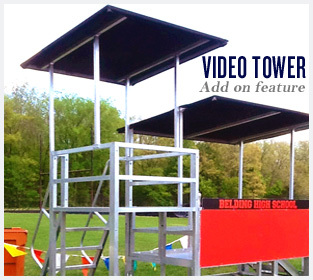 Our Video Tower add on feature is the perfect solution for any game application needing something extra to get to the next level. 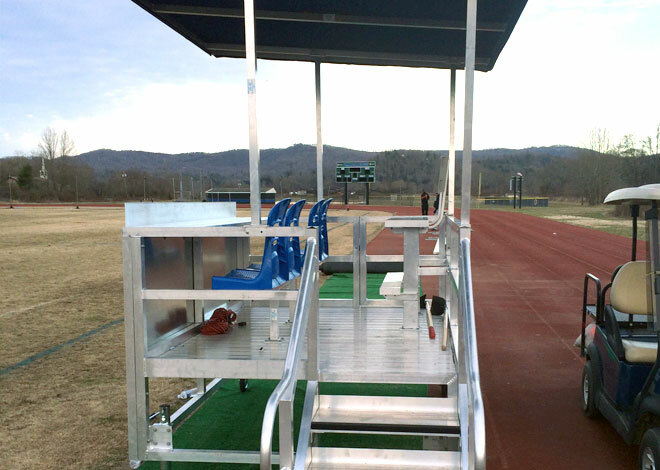 Ideal for game filming, scorer’s box, referee post and much more! 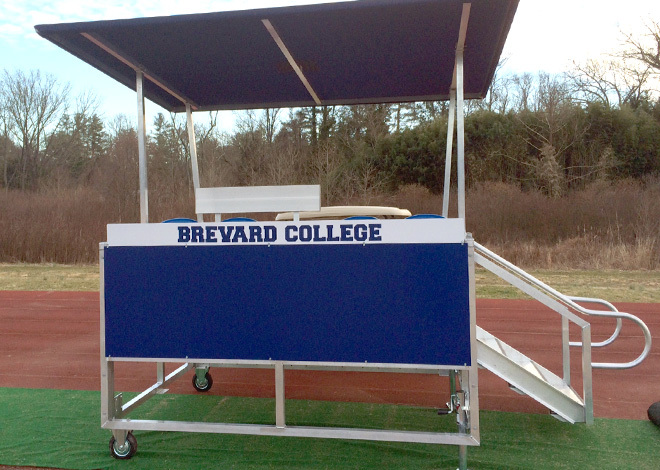 Decorate your platform with a custom color front panel. 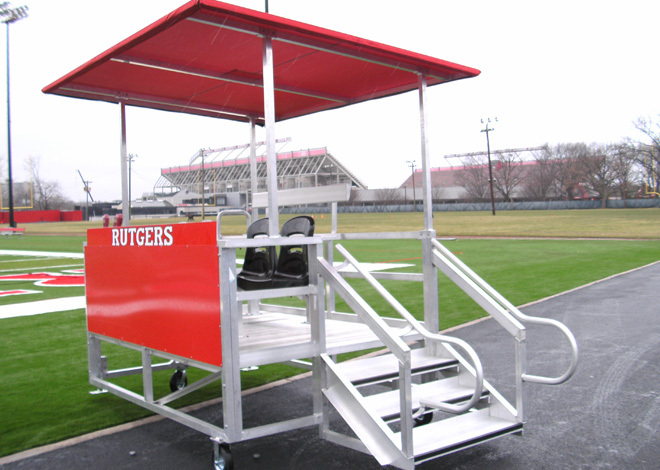 Available with or without logo. 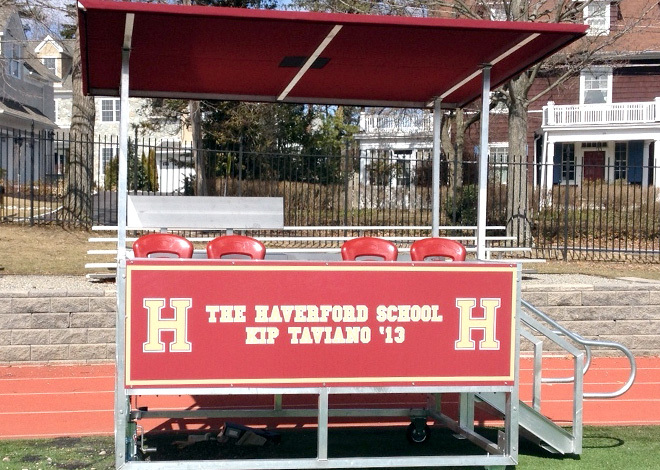 Add a custom name plate with your school or university name, sport field or complex title or even gain sponsorship by supporting a local donor. 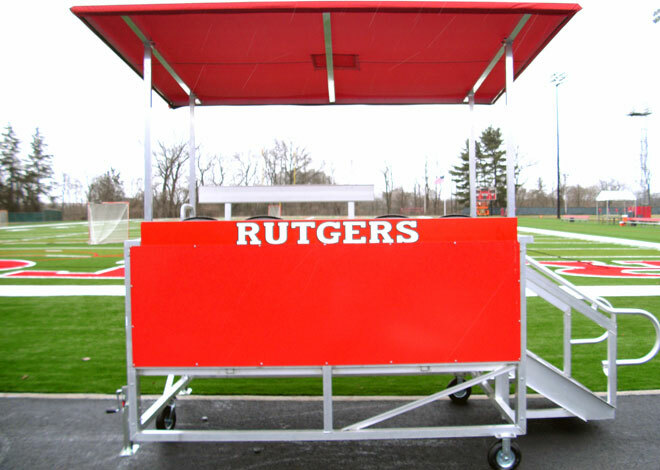 Add a custom color fabric canopy for additional coverage and protection from the elements.